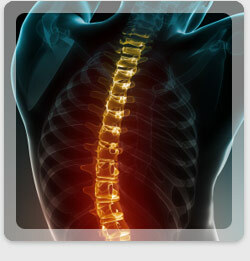 KeyStone Chiropractic provides safe and modern chiropractic treatment for families in Sacramento, California. Our unique approach to chiropractic care assists with improving your health and reducing the risk of future pain and illness. Our staff works hands-on with all ages (including infants) to treat spine misalignment, back or neck pain, or other injuries. We also tailor each chiropractic treatment plan with your wellness in mind. First-time visitors get 30% off consultation! Did you know the care of your spine is crucial your body's overall health? Chiropractic treatments can promote a healthier spine. Chiropractor adjustments and other treatments are safe for the entire family; including children! Patients can expect to the best care from our expert Chiropractors and the use of modern chiropractic equipment and technology. KeyStone Chiropractic has treated patients of all ages, including infants. Chiropractic care has proven to be safe for children to the elderly, and promotes growth and healing by means of a precise and gentle chiropractic treatments.